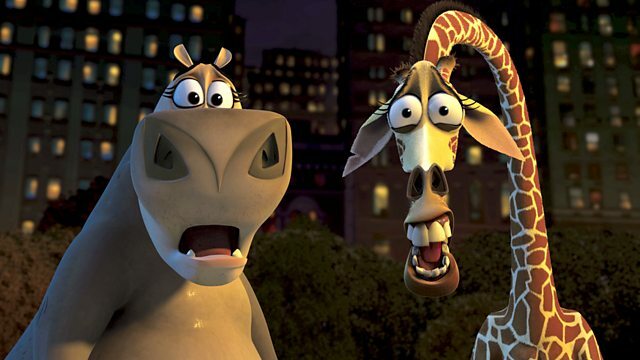 Animated comedy about four spoilt animals from New York's Central Park Zoo whose botched escape attempt finds them stranded in the Madagascan jungle. Animated comedy. Four pampered animals from New York Central Zoo escape in search of their friend. However, they find themselves en route to Madagascar, where they will be forced to fend for themselves. Featuring the voices of Ben Stiller (Alex), Chris Rock (Marty), David Schwimmer (Melman), Jada Pinkett Smith (Gloria), Sacha Baron Cohen (Julien) and Cedric the Entertainer (Maurice). Catch up with some amazing films and exciting specials.